I don’t know how to begin this segment of the Bali Buddy other than to say BIMC were and are amazing.. I have just returned from Bali (11 /5/ 12) . My husband John and son Darcy were in Sumbawa on a boys surfing holiday when extremely bad pain took over Johns body. It turned out to be peritonitis.. (appendix) or in Balinese (Usus Buntu) Read more about Johns struggle to get out of Sumbawa under Peritonitis in Paradise . 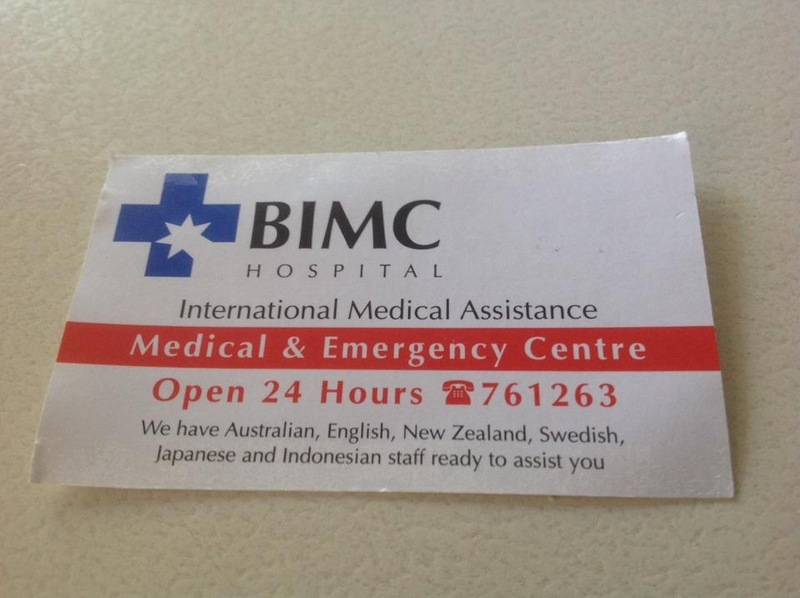 After numerous days John was flown to Bali and admitted into BIMC. I flew from Australia. By the time I’d landed Johns appendix had been removed and I cannot tell you how wonderful the staff are & how professional and caring they are and the 1000% service we received at BIMC. John was in hospital for 5 days, had his own private room and bathroom. He was inundated daily with nurses and doctors. The service was well and beyond words. I can’t thank every one enough at BIMC for your consistent help service concern and kind caring words. If your in Bali and need medical help. Go straight to BIMC you won’t look back. They are amazing.. This entry was posted on Saturday, May 12th, 2012 at 6:35 am	and is filed under The Bali Buddy. You can follow any responses to this entry through the RSS 2.0 feed. Both comments and pings are currently closed.